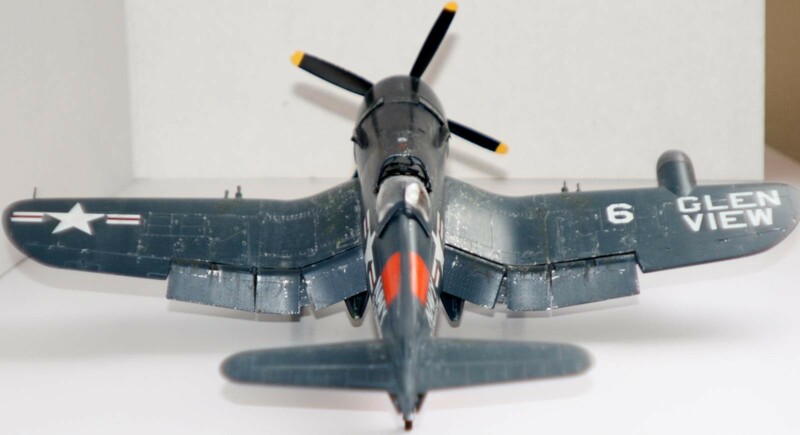 I just cannot build enough F4U’s, especially the later version models such as this “-5N”. This particular model was sitting in my stash for over 10 years. 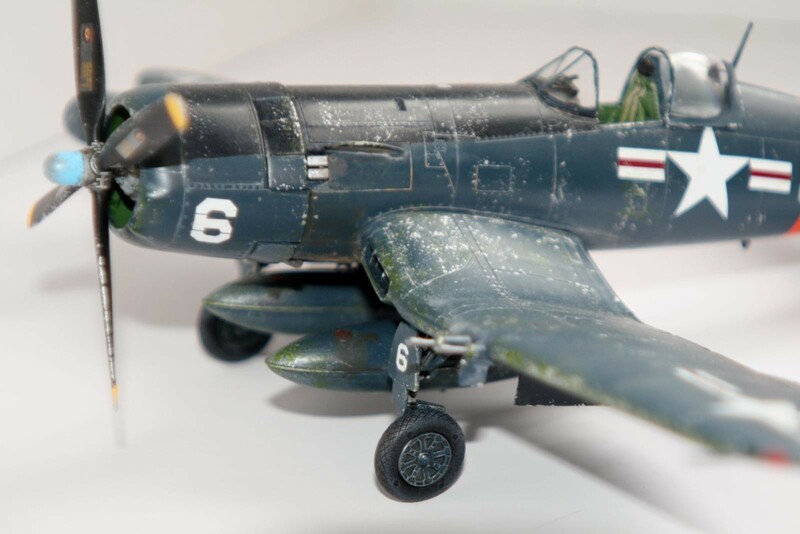 I had passed it over many times because it was just a “Monogram” kit and did not give it much credit over some of my supposedly better, more complex kits. So I was between some big projects and wanted something relaxing to play with. 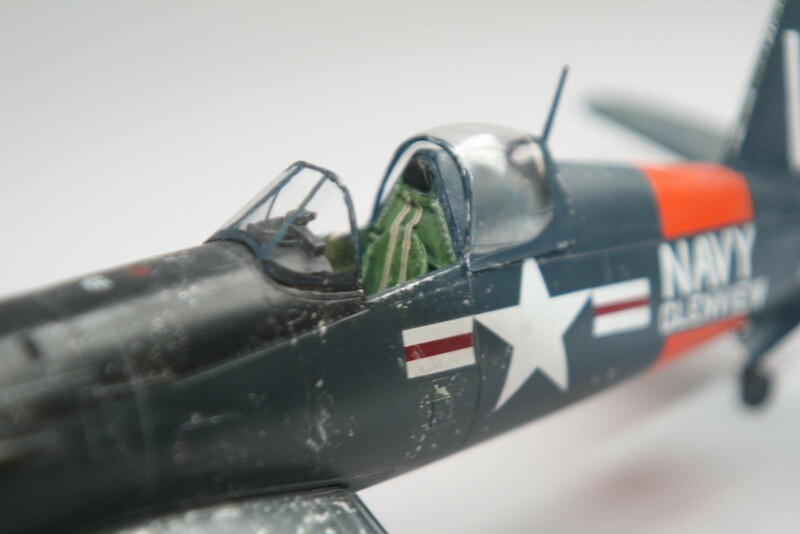 I am always in the mood for another Corsair so I gave it a second look. 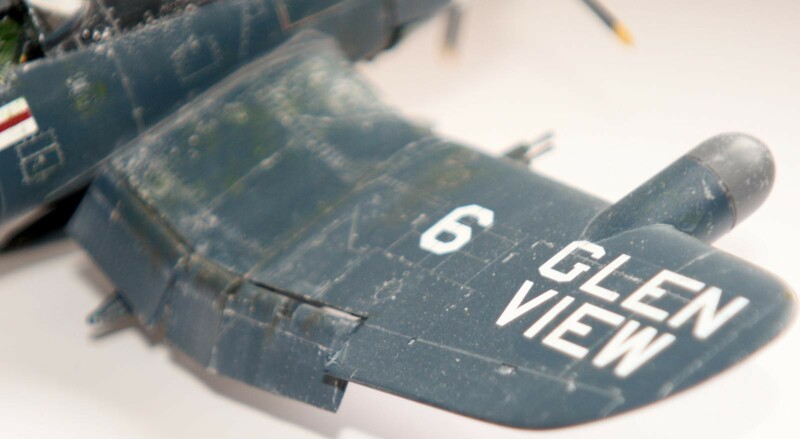 After all, despite being a Monogram kit it was the Pro-Modeler version with bonus PE sheet…WOW. Putting my sarcasm aside I opened the box and was surprised at what I found. It was a very sharp set of parts with modern moldings, great details, no flash, great looking decals and finely recessed surface detail. I did a little research on the kit and found it to be a re-issued Hasegawa kit so that gave me more motivation to give it a go. I am glad I did b/c it turned out to be a joy to build. The overall engineering and parts fit was fantastic. It was just the right combination related to ease of build vs. detail. It just fell together. It is mostly OOB except for a few added parts in the cockpit area to busy it up a bit. You do have 2-choices to build her as a “-5”, or a “-5N”. 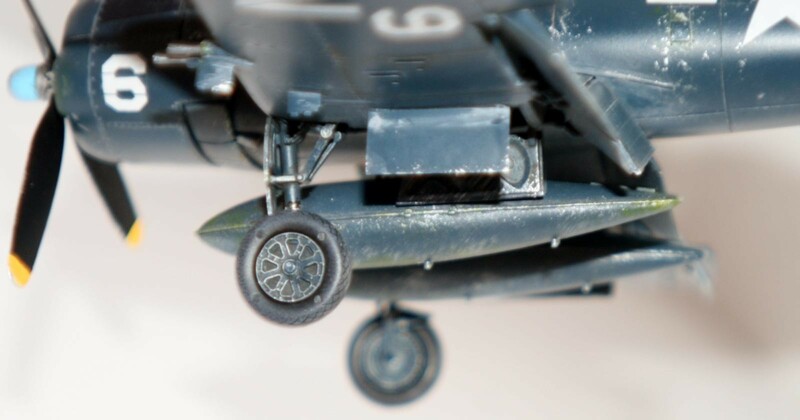 Some of the differences include the addition of the wing radar, and .50cal guns vs. 20mm. Decals are support the different versions. The only flaw I recall were the sink marks that cover the outside circumferences of the main gear tires. I did not notice them until way to late so I just let them be. When finished with the assembly it was time to paint, which is my favorite part of any build. 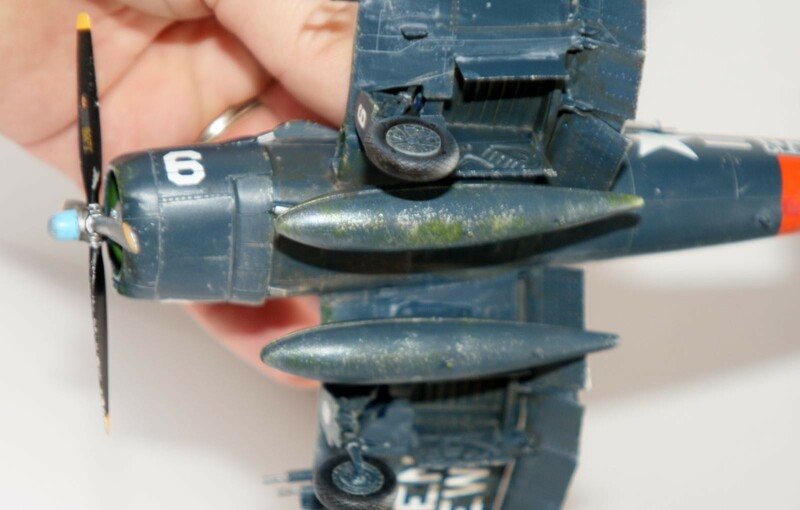 I wanted to go with the overall Navy Blue due to ease of painting, but did not want to have a plain mono-chromatic look. So I engaged in a lot of pre-shading followed by multiple tones built up in light layers to arrive at the final color. It still needed more so I “beat her up” with some scratches, dirt, wear, and tear. I also went with the more colorful “Naval Reserve” scheme with the orange bands. 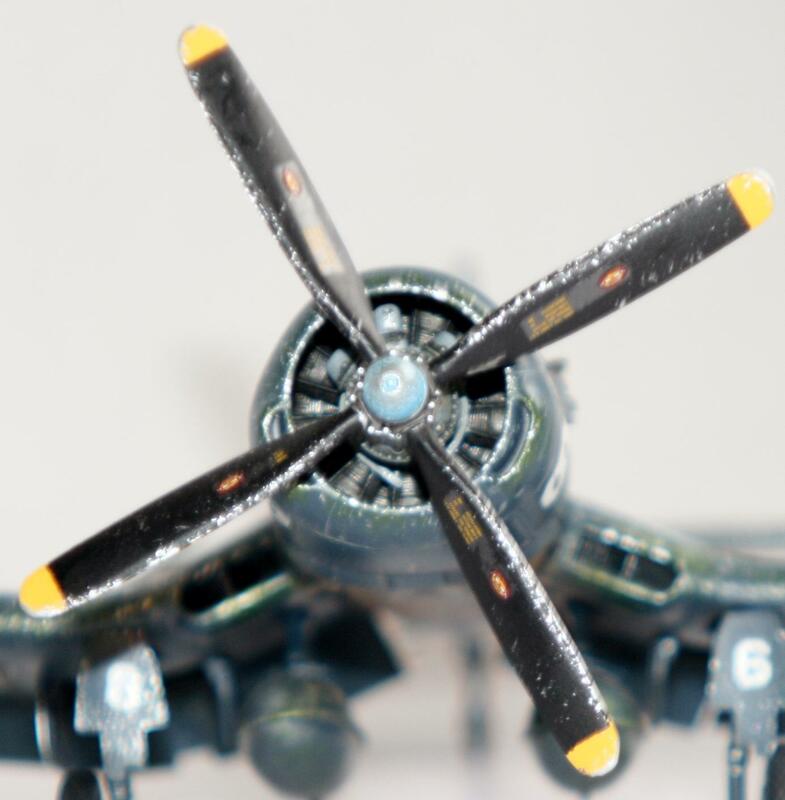 I know that reserve units do a better job with overall maintenance and cleaning of their aircraft so I do not think the worn appearance was accurate but I could not resist the temptation. Consider it a bit of artistic license. 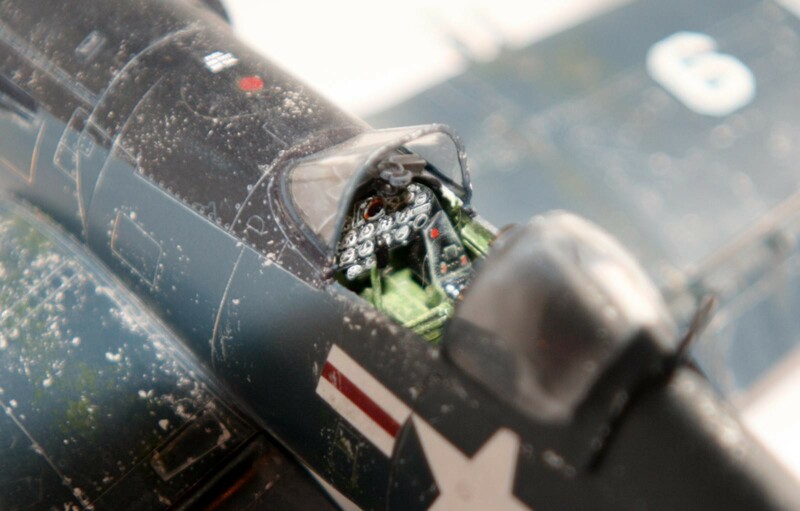 Another inaccuracy due to my choice of options is related to the installed night-radar unit on the wing. This is because it is my belief that the Reserve unit only flew the “-5” mark and I had her configured as a “-5N”. Please forgive me…LOL! After all I do this for fun and that is just the way I wanted it. In summary, to all you corsair fans, I cannot recommend this kit enough. I dont think I used a drop of filler anywhere, and the fit is just great. She looks great once built up and it makes for a fun build of a famous fighter. Hope you enjoy the photos and as always please provide comments. Nicely “beat up” indeed, sir….albeit a bad mark for the maintenance folks. Paul, I always liked the speedy look of the -5, (and the personal affection and thrill of having gone for a ride in one !). You’ve done a wonderful job on this. Has a nice “well used” look ! What a well worn bird Paul. Glad to hear she went together well as I have the Hasegawa kit in the stash. The pre-shading you did worked out quite well. I like it. Paul, that is a beaut! And the Monogram decals are better than Hasegawas. And the price was right, compared to Hasegawa. I recently saw a photo of an Aeronavale Corsair that makes this look like the concours de elegance. Wish I could remember where, I was thinking it would make a good subject. Drive the rivet counters nuts! 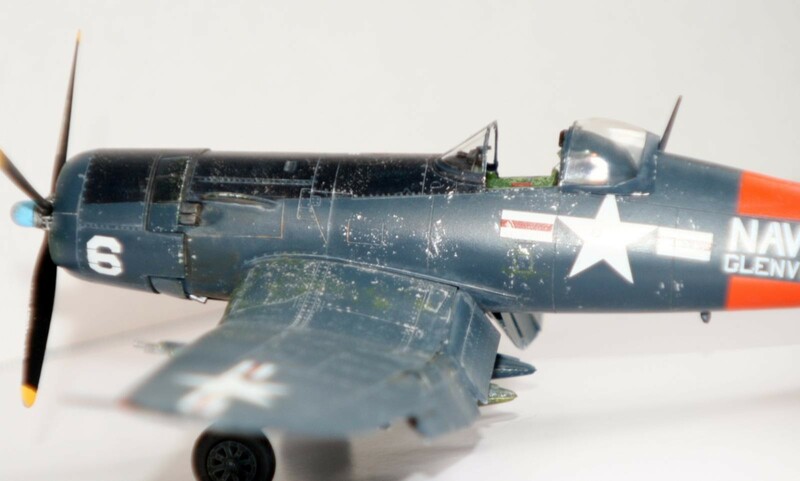 I would like to get the Hasegawa kit b/c it has decals for a Navy Grey/white scheme bird that is flashy and different then most/ Also would like to do a bird with El Salvador Scheme which fought in the infamous Banana wars of the region. 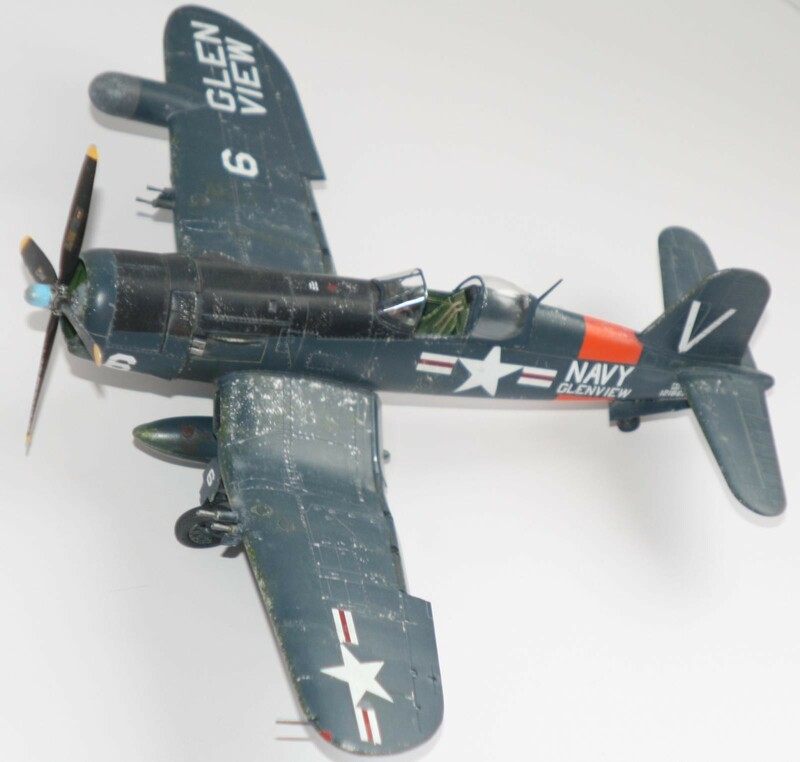 These were the last active combat corsairs still flying back in the 70’s I believe. Paul, you ‘smashed it’ – literally – I love a well-weathered build and this is a work of art on that front. Great stuff! 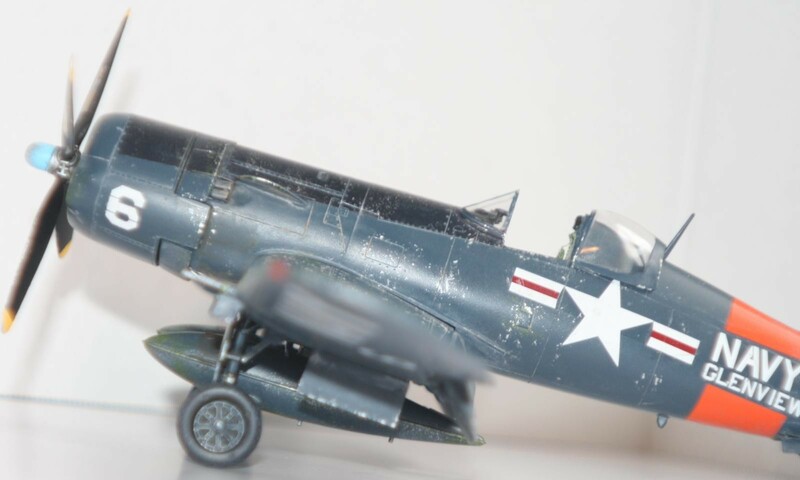 Paul, this F4U looks awesome !! 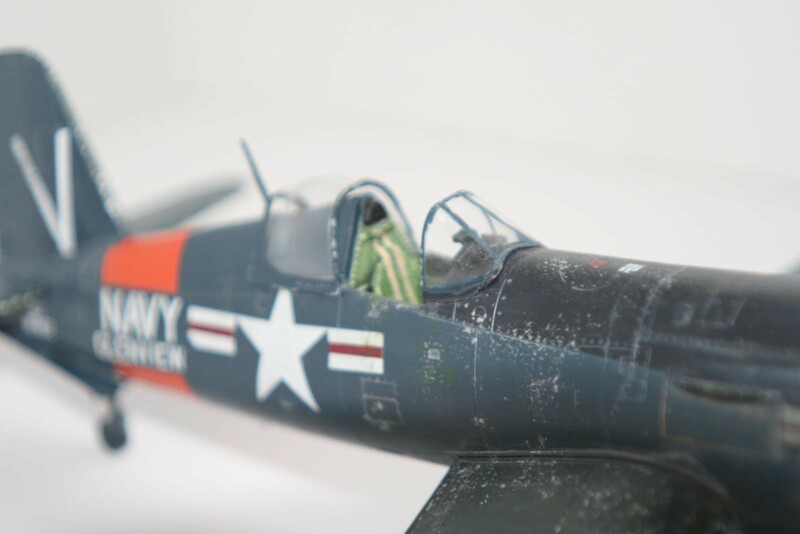 It’s my favorite plane by the way ………….. I have had the good fortune to spend some quality time around a real 1:1 scale “dash 5NL” and yours looks the part. I took a bunch of detail pictures of the real plane. If you ever happen to need any for a future project, please let me know. Yes, would love to see some of those pics. I will make more soon. I am holding my breath that Tamiya comes out with a more modern version in 1/32. 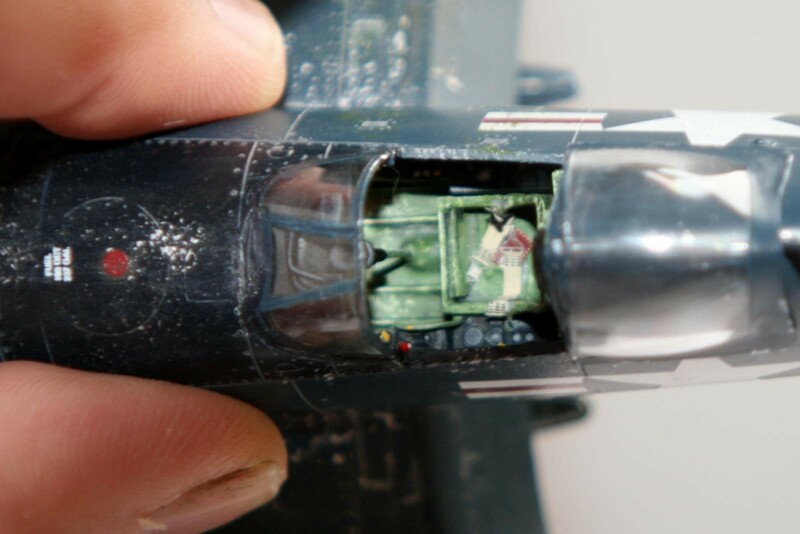 I know they are planning to b/c I just built their 1/32 “-1A” and it had 4-blades included in kit for a plane that only needed 3. So its in the works I know it! 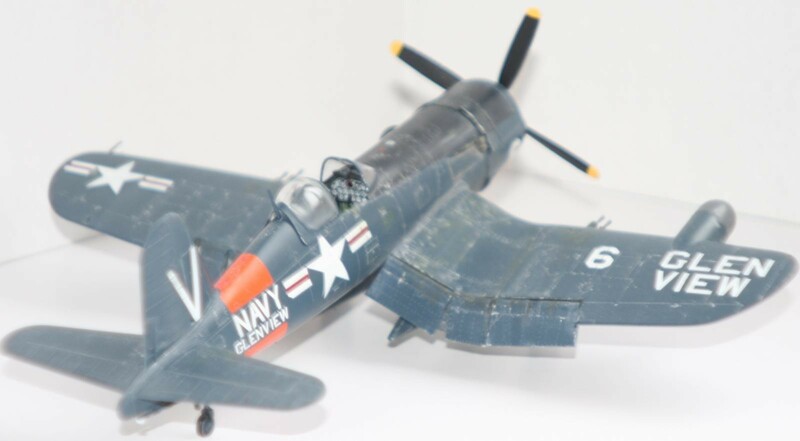 That was the most awesome F4U I ever built. Pics are included here on this site under my other articles. 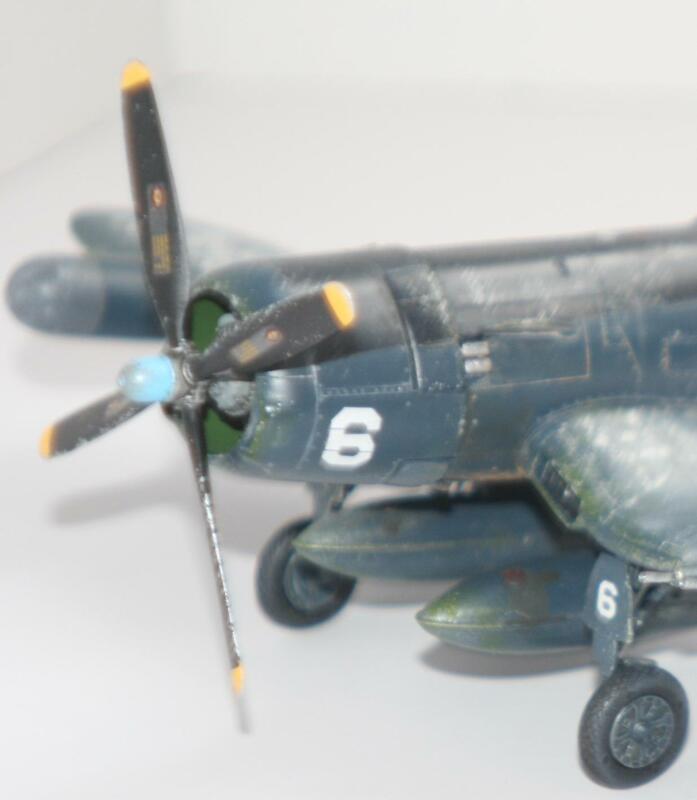 Corsairs are always popular, especially on this site, you’ve hit another home run with this one. 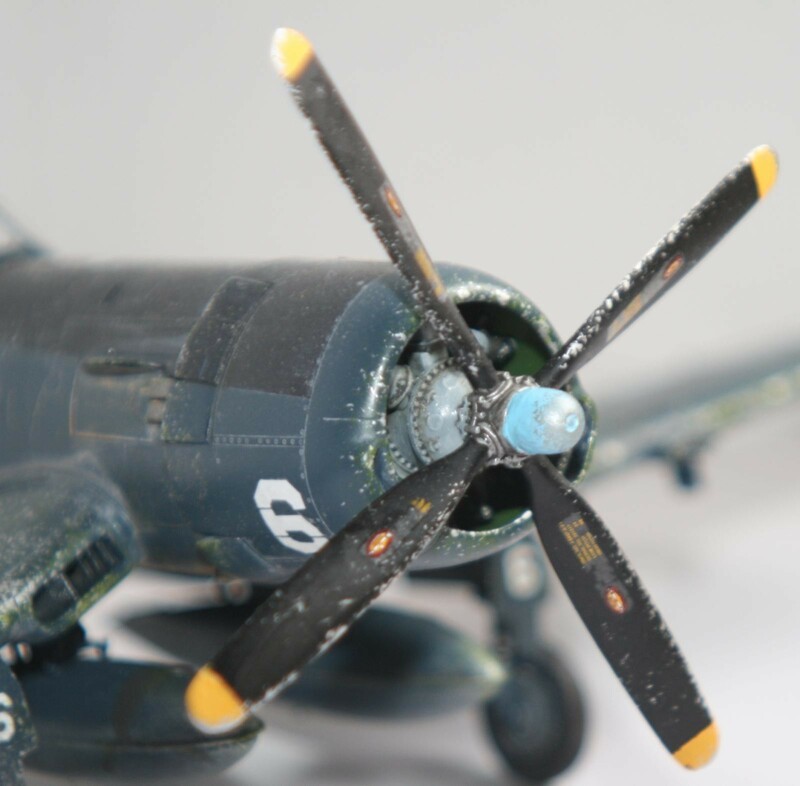 A great looking Corsair! Weathered to look like road hard and hung up wet! 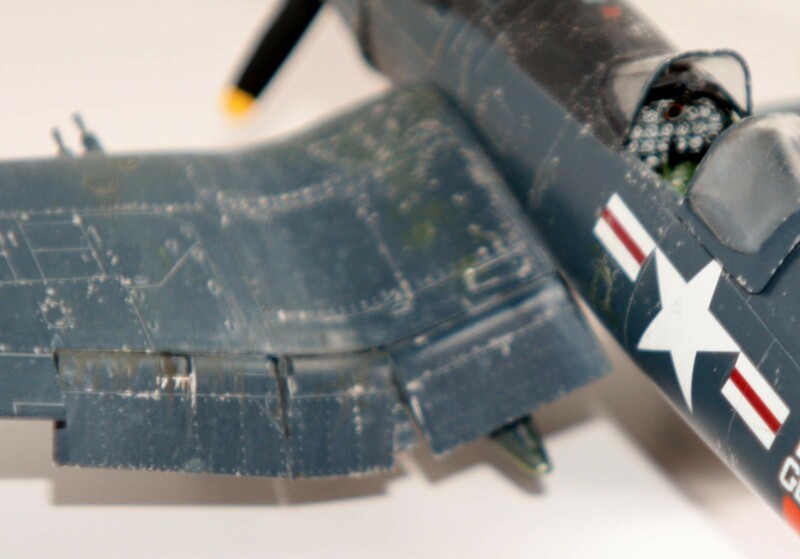 Paul, the weathered finish on your Corsair is incredibly realistic. Really looks the part of a well-used, weather-beaten Reserve plane. Well done, sir!